Went to visit my grandparents today with Joss. 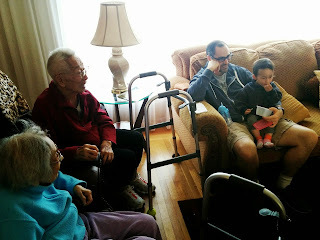 They really enjoyed him and Grandma even seemed a little more lucid than normal. "Stacey!" She said right away and recognized me. She and Ba took turns making faces at Joss and making him laugh.